For over 25 years, Katy Garretson has worked in film & TV production, the last twenty years as a director. 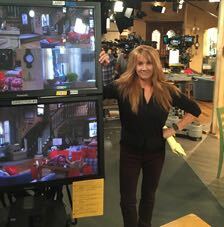 Her directing credits include: THE COOL KIDS, LIVING BIBLICALLY, ALEXA & KATIE, FULLER HOUSE, THE ODD COUPLE, 2 BROKE GIRLS, ONE BIG HAPPY, YOUNG & HUNGRY, FRASIER, SULLIVAN & SON, REBA, GEORGE LOPEZ, GIRLFRIENDS, and “hybrids” like SCHOOL OF ROCK, TITUS and THE PITTS. She has also directed several “tween” and children’s shows, including the high-tech motion-capture and digital puppetry animated series SID THE SCIENCE KID for The Jim Henson Company. Additionally, she has directed several single-camera web series, including NURSES WHO KILL and TBS's Love Bites. 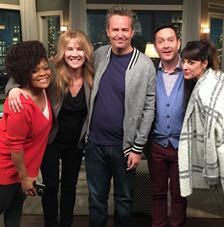 Garretson received a DGA Award Nomination for Best Comedy Director for her debut episode on FRASIER, and four of her many guest stars have been nominated for or won Emmys. She was nominated for two BET awards for episodes of GIRLFRIENDS, and Ashley Tisdale won the Teen's Choice Award for a character she portrayed in an episode of YOUNG & HUNGRY, directed by Garretson. Prior to being a director, Garretson was an award-winning Assistant Director on numerous TV movies, commercials, hour episodics and features. Her full list of AD credits can be found on IMDB.com. In 2012, Garretson was the recipient of the Frank Capra Lifetime Achievement Award from the Directors Guild of America. This award, given out at that point only 25 times in the history of the Guild, is presented to a member with at least twenty years of distinguished DGA credits and fifteen years of quality Guild service. Garretson has served as an Associate National Board member and Council Chair at the DGA, and on numerous guild committees. She currently serves on the Western Directors Council Ethics Committee and the Frank Capra Award Committee. Garretson is also a producer. Among other projects, she found, developed and produces a series of TV movies, THE GARAGE SALE MYSTERIES for The Hallmark Channel. The first of these MOWs aired in September 2013 and broke nearly every ratings record for The Hallmark Channel, and in March 2014, Hallmark announced it would re-brand The Hallmark Movie Channel to be The Hallmark Movies & Mysteries Channel, and would have a “wheel” of mystery movies led by the GSMs. Garretson produced sixteen GARAGE SALE MYSTERY movies between 2013 and 2019.